Since our humble beginnings in 1895, Richmond Dental and Medical has stood for quality, innovation, and customer commitment in dental and medical clinics in the United States and around the world. Dr. Albert Richmond set a high standard for the company as a startup entrepreneur, and that commitment to excellence has never wavered in nearly 125 years of serving dentists, doctors, and other healthcare professionals. We quickly became known for great products using the very best in sourced materials, including purified cotton. In 1947, we merged with our supplier, Barnhardt Manufacturing Company, creating a vertically-integrated manufacturing company. Since that time, we have had complete control of our destiny in the marketplace, able to meet our steadfast commitment to higher standards in quality, innovation, and service to our distributors and end users in clinics around the globe. Operating in a facility approved by the US Food and Drug Administration, we follow the agency’s Current Good Manufacturing Practice regulations, which provide for systems that assure proper design, monitoring, and control of manufacturing processes and facilities. 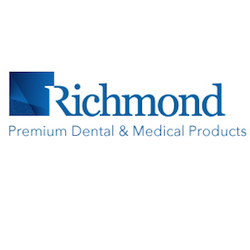 At Richmond Dental and Medical, we are constantly innovating and investing in the latest technology that enables us to expand our product lines periodically in response to the needs of our clinicians. Today’s Richmond catalog features multiple specialty items like braided cotton rolls, cotton pellets, pound rolls, and header rolls. We even supply face masks, medical and dental sponges, infection control dispensers, and medical cotton balls. In the most recent history of the company, we have proudly worked with a collective of women entrepreneurs, led by certified registered nurse anesthetist, Diana Roloff of North Dakota, in the last five years to launch a bite block family of products used when patients emerge from anesthesia collaboration. The Soft BiteBlock™ product has replaced unsterile, DIY gauze rolling in operating rooms around the country, saving tremendous costs and patient pain from post-surgical teeth breaks and tongue lacerations. As further evidence of our commitment to quality, Richmond is REACH (Registration, Evaluation, Authorisation, and Restriction of Chemicals) compliant, conforming to European Union standards for the production and use of chemical substances and their potential impacts on human health and the environment. In addition to REACH compliance, Richmond Dental and Medical products sold in the European Economic Area (EEA) have earned the right to display the CE mark, meaning that our dental and medical supplies conform to the health, safety, and environmental protection standards. Stronger than ever, our team is attentive and responsive to the needs of our distributors and medical and dental clinicians. At Richmond Dental and Medical, we are poised to celebrate our 125th anniversary in 2020, knowing that we have never compromised our priorities of quality, innovation, safety, and the highest levels of customer service.